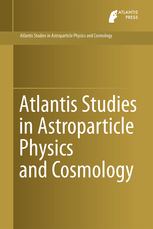 The book series 'Atlantis Studies in Astroparticle Physics and Cosmology' publishes high-quality monographs throughout the broad area of astroparticle physics and cosmology, that have the potential to make a significant impact on the advancement in this area of physics. The series aims to publish original research monographs and to offer fast turnaround times so that the books will be published in a timely manner. Furthermore, the volumes will be reasonably priced, allowing them to be bought not only by institutional buyers but also by interested individuals, thus exposing them to the widest possible audience. All book proposals submitted to this series will be reviewed by the Series Editor, in consultation with expert reviewers. Once the manuscript has been completed, it will be entirely reviewed by an expert referee. Only after this review the book will be published.